How can women tap into their unconscious potential to be a stronger business leader? On the surface, the headlines look good. 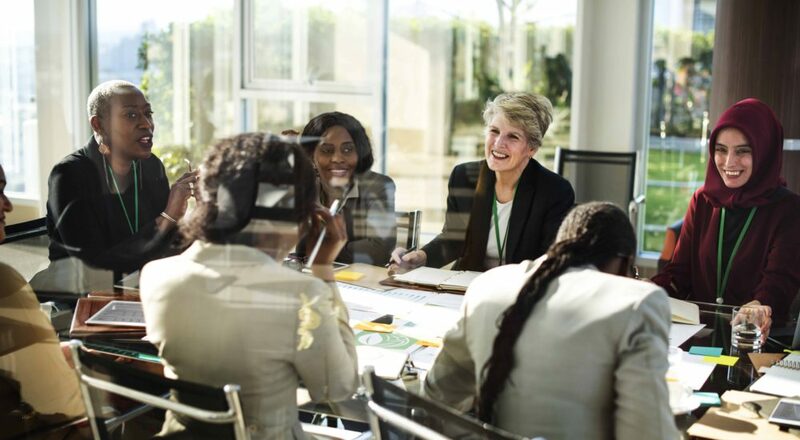 Despite the challenges faced along the way, the number of talented women sitting at the head of FTSE 250 companies is on the rise; figures from the ONS show more women are working than ever before and in the last twenty years, the number of women-owned businesses has grown at nearly four times the rate of male-owned enterprises. Nevertheless, the glass ceiling remains intact for the most part. From unconscious bias in hiring and promotion to stereotyping and daily discrimination, behaviours embedded into company culture still acting as a barrier for women in the workplace. While these issues stem from the stereotypes created by men, there is certainly an argument to be made that women unwittingly perpetuate these attitudes. When we think about unconscious bias, we tend to think of these underlying attitudes in a context of how they might affect other people. Yet, ingrained beliefs, assumptions and doubts regularly play a role in holding us back from reaching our true potential. Unconscious by their very nature, these biases are born at a young age and are reaffirmed by our experiences in society as we grow older. She’s not wrong. Regardless of your gender, your subconscious has already painted an image of what a successful business leader look and acts like – rare is it for this image to depict a woman. As much as we may strive to be conscientious, it’s incredibly difficult for us to challenge the image already ingrained in our subconscious. As a result, this pattern goes on to influence how women are treated at work, how they are perceived by their colleagues and the opinion they have on themselves and their ability to lead. The question is, what can we do to change this? As important as Sandberg’s novel and others like it are for female empowerment, it takes more than “leaning in” to bring about systemic change. Instead, a long-term, multi-pronged approach that involves men and seeks to eradicate the stereotypes and biases that hold us back is long-overdue. Current leaders certainly bear the brunt of the responsibility; their unique position putting them in an ideal place to invest in female talent and nurture them through the ranks. However, even women already in leadership roles suffer from self-doubt thanks to the behaviours that society has taught them are typical of strong leaders. To tackle this, we must make an effort to recognise which thought patterns and assumptions of ourselves are detrimental; which are negative biases we have learned from male colleagues and even affirmed to each other. In the short-term, this will pose a challenge, particularly because we can’t choose the way the system treats us. However, though we may not be able to usher in the winds of change overnight, addressing the requires us as women to recognise, not internalise the ways in which we feel held back by bias and discrimination. Naturally, it’s not as easy as the flick of a switch to unlearn our current beliefs and put an end to the vicious cycle that unconscious bias creates. What’s more, it’s not as if there are an abundance of role models in our surrounding environment. Nevertheless, initiating cultural change asks us to re-evaluate the way we see ourselves and redefine what it means to be a strong leader. While we cannot simply “be the change we want to see” as motivational posters suggest, we must make a marked effort to cast out the beliefs that hold us back to focus instead on nurturing our own potential through professional development. Felicity Hassan, Managing Director at our New York Office.